Hello Roy, a great big “Love Ya Meat!” from the good people out here in Portland. My question concerns the grading of beef – what does it really mean? Thanks for your question Rich. It’s an important one and something that many of us don’t spend a lot of time thinking about! 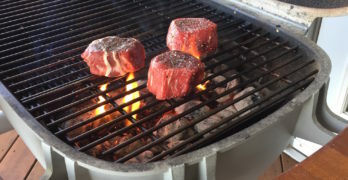 For the griller, grading is a standard way to assess the quality of meat you are buying. From the industry perspective, grading helps in the promotion and marketing of quality beef, while assisting producers in getting a fair price for their product. The United States Department of Agriculture (USDA) has been grading beef for more than 75 years and currently operates a voluntary beef grading program. Grade depends on the so called ‘quality grade factors’ of age and marbling. Age refers to the estimated age of the animal at slaughter and marbling refers to the amount of intramuscular fat in the meat itself. There are actually eight USDA beef quality grades but only three that matter to us – Prime, Choice and Select. Prime grade beef is of the highest quality and features the greatest amount of marbling. As you know from my previous ranting, marbling plays a key role in producing the tenderness, juiciness, flavor and the overall ‘palatability’ of a given cut of beef. (See my “Love Your Meat Post” post on Marbling for all the details). 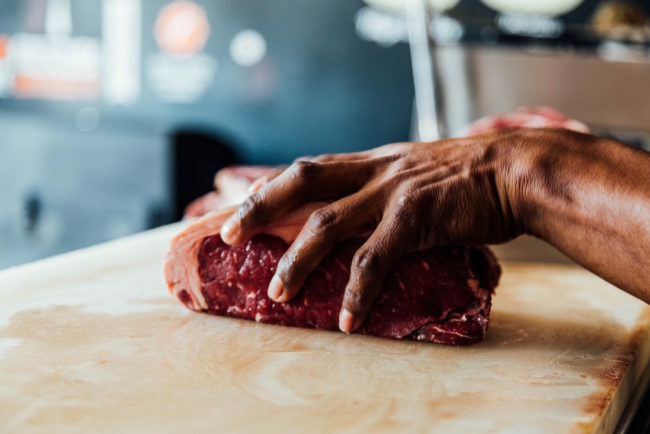 Only 2% of graded beef in the United States is considered Prime and this grade is typically be found in finer restaurants and select meat stores. Choice grade beef is of high quality and falls between Prime and Select grades. This is the grade found widely in the retail and food service sectors. Select grade beef is the lowest grade typically available at retailers. It is lower priced and leaner, but tends to be less tender and flavorful than Choice or Prime grades. I often get asked whether the premium price tag on Prime grade beef cuts is worth the price. Well, this really depends on you, what you’re willing to spend, and ultimately what you like to eat. No doubt that if tenderness, juiciness and flavor are what you’re after, you’ll get better examples of these characteristics in the higher grade cuts.